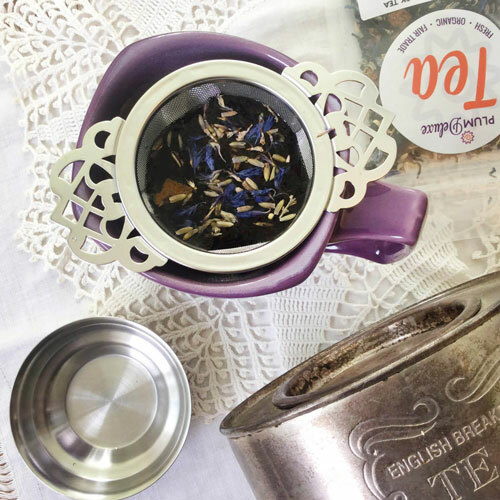 As a communi-tea of tea lovers here at Plum Deluxe, it’s likely that in times of stress or turmoil, most of us are already more than likely to reach for a cuppa to calm us down. 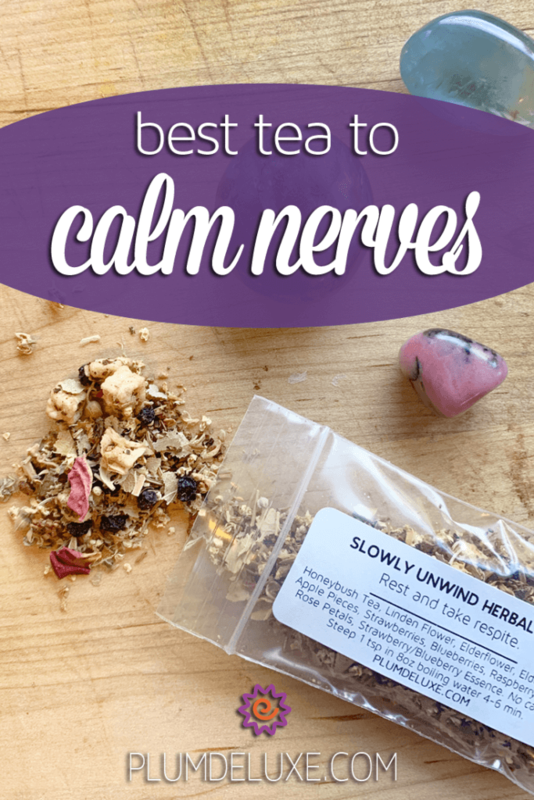 But what exactly are the best teas to calm nerves and chill you out? Today, we’re going to dive into all sorts of different tea fixes for stressful moments, and how we can use that daily cup to chill us out. When most of us think of relaxing tea, likely the first thing to pop to mind is a great tea to sip before sleep. And while we’ll definitely touch on those teas today, life certainly has more nerve-shaking moments than just those pesky racing minds pre-bedtime; from pre-job interview or hot date to the buzzy stress of the holiday season, we’ve got you covered. Maybe you’re headed out to an important job interview, a big meeting, or a high-emotions family event. Most calming teas are made for evening wind-down, but what if you need a boost of caffeine to accompany your chill vibes? First and foremost, know that caffeine and soothing herbs (like lavender, or chamomile) are not mutually exclusive in a delicious tea. Search for a blend that offers a hearty base, like a black tea, paired with mellow herbs like Reading Nook blend or Caramel Almond Black Tea. Not all caffeine is created equal. Oftentimes, when you’re stressed or keyed up, adding a super-strong tea base may make you even more jittery. 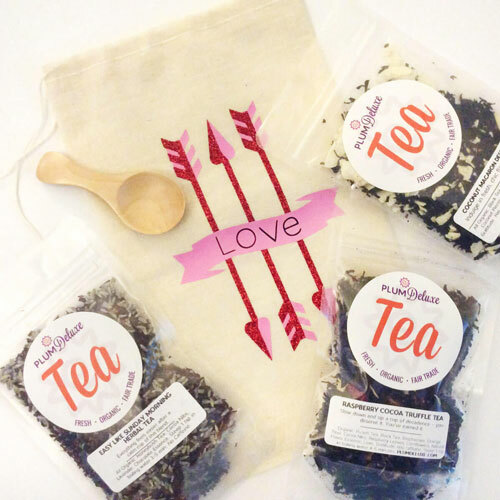 Search for a tea blend that pairs a caffeinated leaf, like a black tea, with something naturally decaffeinated — a rooibos, for example — for a more gently caffeinated blend. Or try an oolong or green tea like Currant Conversation or Easy To Be Green. 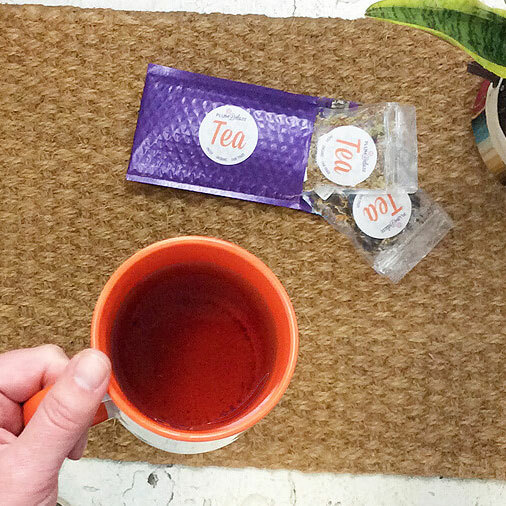 Mindfully sip your morning tea if you’re looking for some gentle, invigorating calm. When we are stressed or anxious, it’s likely our tendency to rush, rush, rush through what we’ve got to do. Taking a mindful moment to sip your tea — any tea! — can do wonders for your mental state. If you can pair one of the recommended blends with this grounding, centering tip, you’ll be good to go. Most of us, on most days, have things we need to be doing during the day. Perhaps you’ve got a stressful meeting, a house full of guests, or a mountain of laundry calling your name. In a perfect world, maybe we could check out, take a nap or a hot bath, and put these worries on hold — but more than likely we’re beholden to our to-do lists until they get to-done. To keep your calm and cool while still staying focused (and perhaps preventing afternoon/evening caffeine-spikes! ), try these tips and teas. 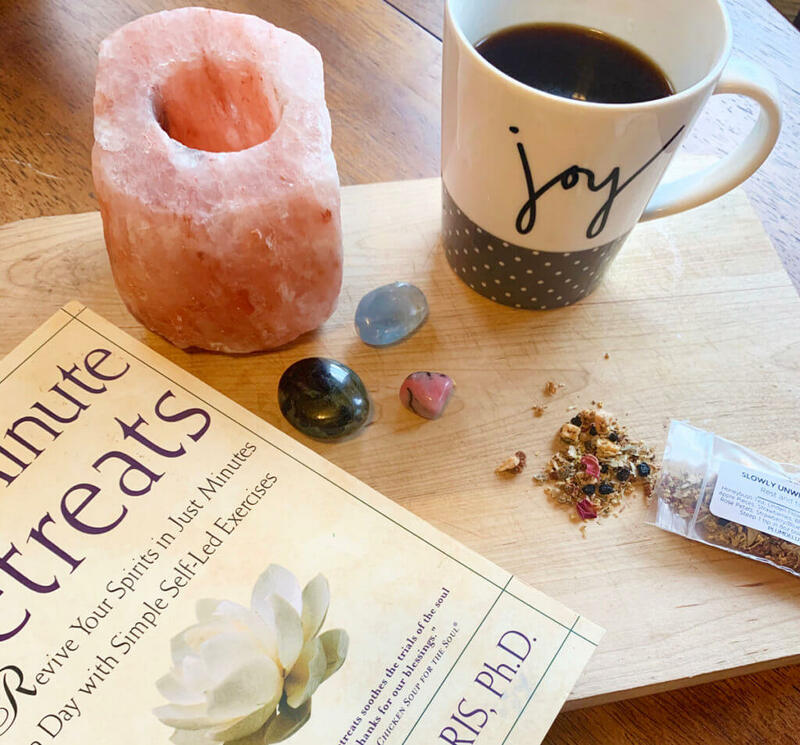 Like in the morning (and especially if you’re caffeine sensitive), try a blend that balances gentle caffeine along with some grounding herbs, florals, or spices. Sugar Plum is a great example. Schedule some time to break for a tea moment. In the hustle and bustle of our daily lives, it can be extraordinarily easy to push out anything that’s not a must-do in lieu of our self-care. Schedule a time for you to take your tea, and stick to it. Don’t be afraid of soothing herbal blends. We’re going to talk more about these for nighttime relaxation, but don’t fear them in the afternoon — just because you’re drinking a calming blend in the afternoon doesn’t mean you’re going to conk out asleep on your desk. If anything, you’re just gently signaling to your brain that it’s okay to stop running on overdrive while you finish your day. When a moment like this arises, try Slowly Unwind Herbal or Best Friend’s Advice herbal teas. This is the category most often thought of when it comes to the best teas to calm nerves, but that doesn’t mean it’s an easy fix. There are so many soothing/calming/sleepy-time/etc. teas on the market that it can be hard to choose! I’m not a doctor, but there are many herbs and spices out there that, even by sniff or sip, can help put you in the right headspace for calming down for the day. Use the following tips to help you demystify soothing herbals once and for all. The most well-known soothing herb (and for good reason!) is chamomile. 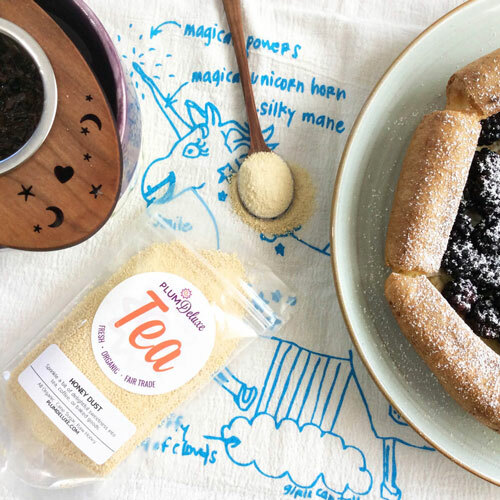 Known to help calm nerves and soothe anxiety, chamomile’s magic may be due to an antioxidant called apigenen, known to bind to receptors in your brain to calm anxiety and help a racing brain begin to relax. When you’re looking to ease into a delightful snooze, try Cuddle Time. When you think of sleepy-time herbs, just think: What smells best? Soothing and common herbs like lavender or lemon balm are often used in tea blends for nighttime due to their aromatic and calming nature. Why so often is lavender found diffusing in your massage therapists’ office? It’s as good to sniff as it is to sip when you’re looking for calm. Try Easy Like Sunday Morning for a soothing bit a lavender. Finally, known as an herb used in England to help calm nerves during the air raids in WWII, valerian root is a popular addition to nighttime teas. Again, I’m no doctor or herbalist, but one theory says valerian root’s calming effects may come from its ability to increase levels of GABA in the brain, which can induce sleepiness. Who knew! Whether you’re gearing up for a big event or winding down after a big day, tea can be a great asset to helping you calm your nerves. 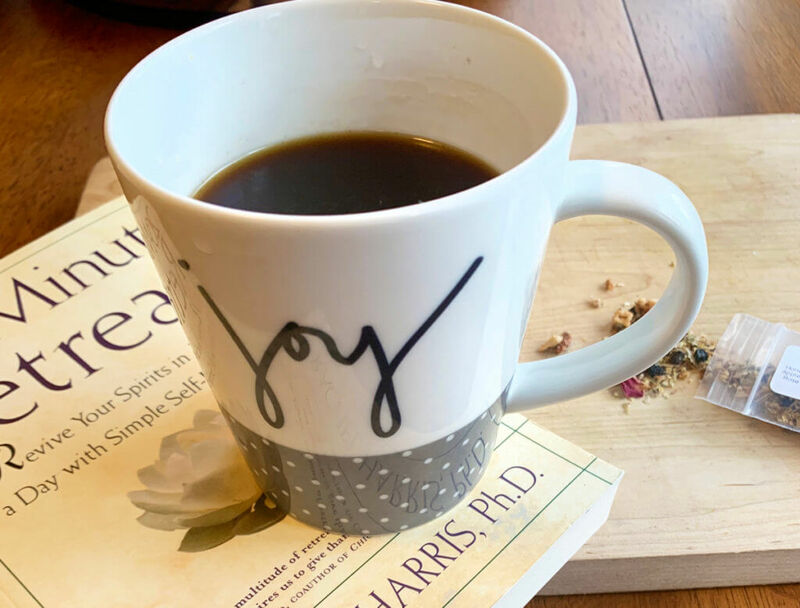 The most important thing to remember is that if you’re sipping your cup mindfully, you’re automatically giving yourself and your brain a respite from the stressful busyness of day-to-day, and that’s the best nerve-calming tonic there is.